There's no question: Since its introduction in 2000, Group Policy has been a hit. Tens of thousands of organizations worldwide use it to create more consistent desktops for their users, to deploy software packages, to secure their computers, and more. 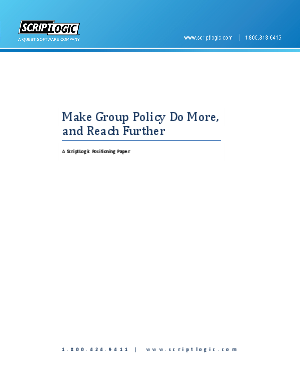 But Group Policy isn't without its shortcomings, and there are definitely ways to make it do more for your organization.